You've found your perfect 45 Long Colt ammo! 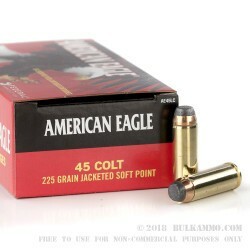 This hard to find 225 grain Federal American Eagle ammunition is reliable and accurate. 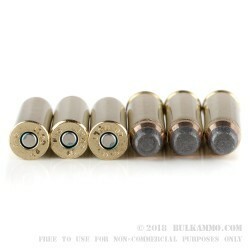 It's excellent for target practice or a day at the range spent plinking. 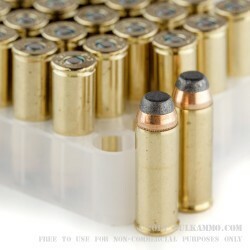 This ammunition is new production, non-corrosive, in boxer-primed reloadable brass cases. Q: What is the feet per second and foot pounds of energy of this round ? A: Hello Joseph! Federal lists the muzzle velocity of this round at 860 fps with a muzzle energy of 369 ft. lbs.